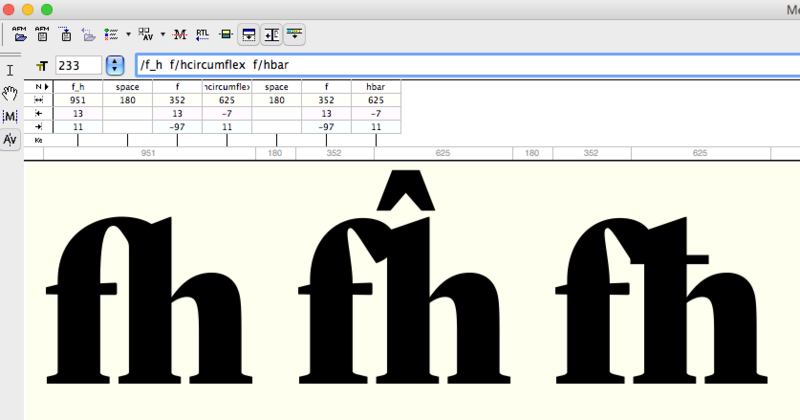 What you think guys is the best approach for the f/hcircumflex f/hbar pairs? Kerning, ligatures or nothing at all? I am also in doubt with f/kcommaaccent f/lacute f/lcommaaccent. For the Maltese fħ, do you have a contextual short f for use with narrow accents that you could sub in? If not (or if it doesn’t really look good), then you could probably just make a component of your f_h and throw a bar on it. @Ramiro Espinoza Do you about this site: http://www.urtd.net/x/cod/combinations ? @Jacques Le Bailly Thanks! I didn't know this resource. 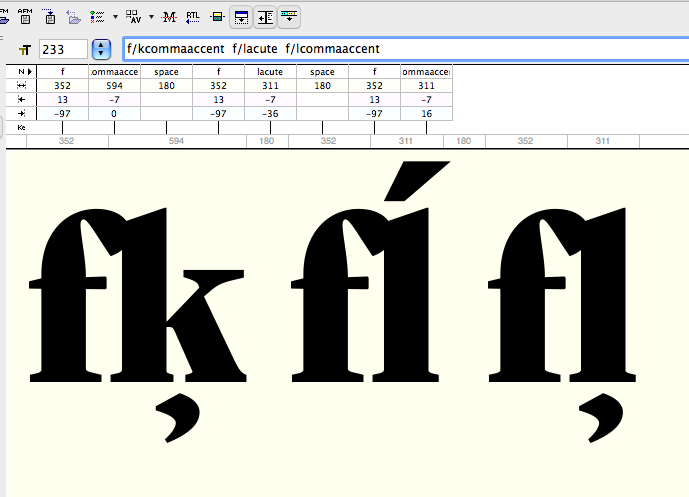 My go-to solution is to use CALT to turn /f into /f.short before ascending glyphs for which there is no ligature. You will, however, find fľ combinations in Slovak. Of course, the advantage of some kind of contextual f to form a naturally harmonious interaction is that you don’t have to worry so much about specific linguistic likelihoods (unlike fixed ligatures).